Professors Hay and Dixson talk about their research in Fiji and why marine protected areas might not be enough to help overfished areas recover. Pacific corals and fish can both smell a bad neighborhood, and use that ability to avoid settling in damaged reefs. Coral reefs are declining around the world. Overfishing is one cause of coral collapse, depleting the herbivorous fish that remove the seaweed that sprouts in damaged reefs. Once seaweed takes hold of a reef, a tipping point can occur where coral growth is choked and new corals rarely settle. The new study shows how chemical signals from seaweed repel young coral from settling in a seaweed-dominated area. Young fish were also not attracted to the smell of water from damaged reefs. The findings suggest that designating overfished coral reefs as marine protected areas may not be enough to help these reefs recover because chemical signals continue to drive away new fish and coral long after overfishing has stopped. The study will be published August 22 in the journal Science. The research was sponsored by the National Science Foundation (NSF), the National Institutes of Health (NIH), and the Teasley Endowment to Georgia Tech. 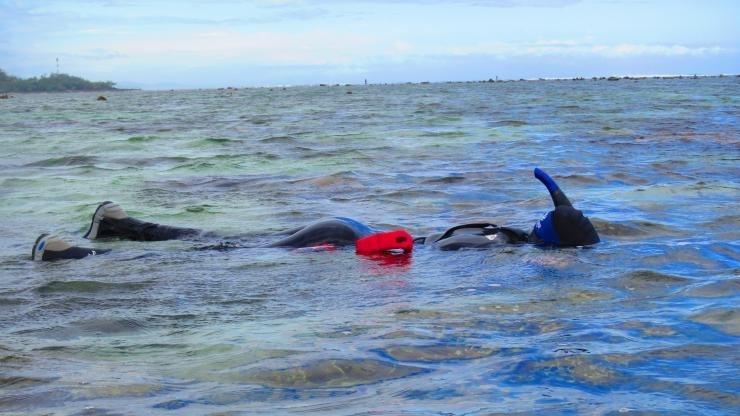 The new study examined three marine areas in Fiji that had adjacent fished areas. The country has established no-fishing areas to protect its healthy habitats and also to allow damaged reefs to recover over time. Juveniles of both corals and fishes were repelled by chemical cues from overfished, seaweed-dominated reefs but attracted to cues from coral-dominated areas where fishing is prohibited. Both coral and fish larvae preferred certain chemical cues from species of coral that are indicators of a healthy habitat, and they both avoided certain seaweeds that are indicators of a degraded habitat. The study for the first time tested coral larvae in a method that has been used previously to test fish, and found that young coral have strong preferences for odors from healthy reefs. "Not only are coral smelling good areas versus bad areas, but they’re nuanced about it," said Mark Hay, a professor in the School of Biology at Georgia Tech and the study's senior author. "They’re making careful decisions and can say, 'settle or don’t settle.'" The study showed that young fish have an overwhelming preference for water from healthy reefs. The researchers put water from healthy and degraded habitats into a flume that allowed fish to choose to swim in one stream of water or the other. The researchers tested the preferences of 20 fish each from 15 different species and found that regardless of species, family or trophic group, each of the 15 species showed up to an eight times greater preference for water from healthy areas. 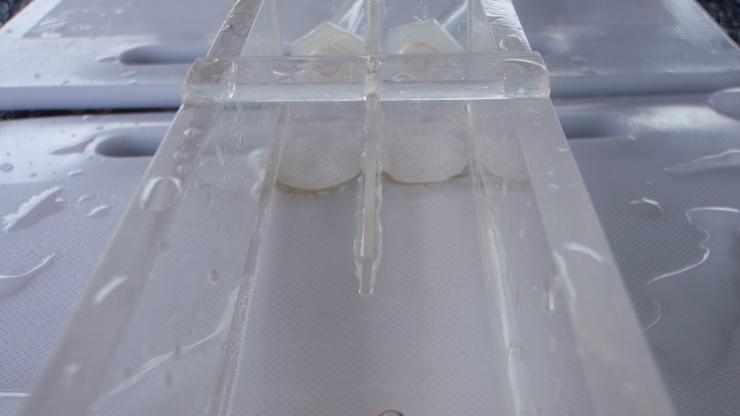 The researchers then tested coral larvae from three different species and found that they preferred water from the healthy habitat five-to-one over water from the degraded habitat. 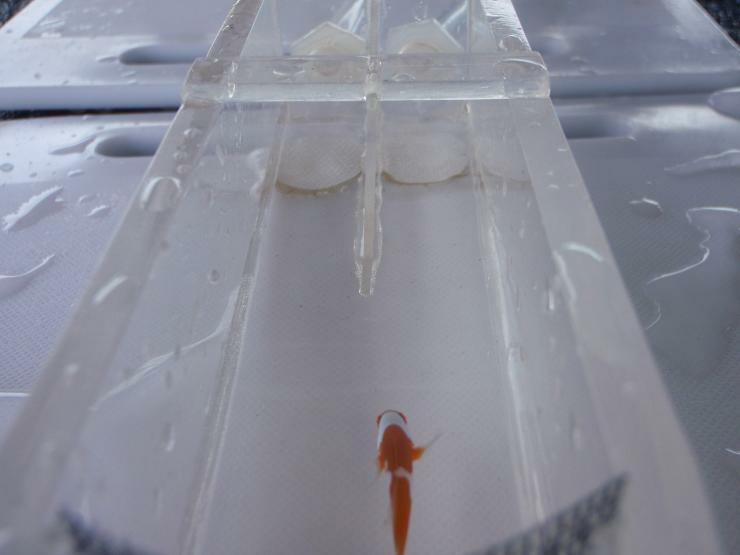 Chemical cues from corals also swayed the fishes' preferences, the study found. The researchers soaked different corals in water and studied the behavior of fish in that water, which had picked up chemical cues from the corals. Cues of the common coral Acropora nasuta enhanced attraction to water from the degraded habitat by up to three times more for all 15 fishes tested. A similar preference was found among coral larvae. Acropora corals easily bleach, are strongly affected by algal competition, and are prone to other stresses. The data demonstrate that chemical cues from these corals are attractive to fish and corals because they are found primarily in healthy habitats. Chemical cues from hardy corals, which can grow even in overfished habitats, were less attractive to juvenile fishes or corals. The researchers also soaked seaweed in water and tested fish and coral preferences in that water. Cues from the common seaweed Sargassum polycystum, which can bloom and take over a coral reef, reduced the attractiveness of water to fish by up to 86 percent compared to water without the seaweed chemical cues. Chemical cues from the seaweed decreased coral larval attraction by 81 percent. "Corals avoided that smell more than even algae that's chemically toxic to coral but doesn't bloom," Dixson said. Future work will involve removing plots of seaweed from damaged reefs and studying how that impacts reef recovery. A minimum amount of intervention at the right time and the right place could jump start the recovery of overfished reefs, Hay said. That could bring fish back to the area so they settle and eat the seaweed around the corals. The corals would then get bigger because the seaweed is not overgrown. Bigger corals would then be more attractive to more fish. "What this means is we probably need to manage these reefs in ways that help remove the most negative seaweeds and then help promote the most positive corals," Hay said. This research is supported by the National Science Foundation (NSF), under award number OCE-0929119, and the National Institutes of Health, under award number U01-TW007401. Any conclusions or opinions are those of the authors and do not necessarily represent the official views of the sponsoring agency. 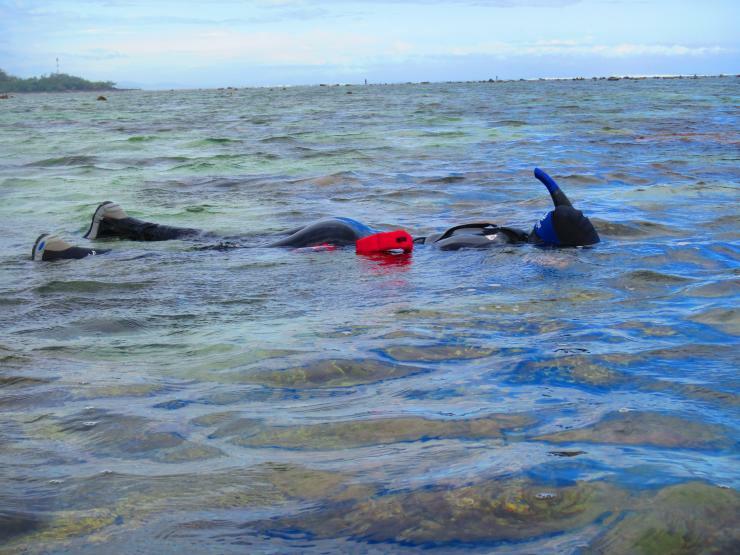 Researchers donned snorkels and examined three marine areas in Fiji that had adjacent fished areas. The country has established no-fishing areas to protect its healthy habitats and also to allow damaged reefs to recover over time. Credit: Danielle Dixson.